The First Bra - How exciting is it to get the first training bra? From choosing just the right style and color to trying on different types of bras, it’s a time that every girl remembers for the rest of her life, so let’s make it an enjoyable one. Are softcup bras or underwire bras better? What about bra sizes and how do you make sure you get the right fit ? And what about fabrics - are cotton bras really best; what about nylon bras? What are young girls wearing these days? Which Training Bra Is the best? A Training Bra In The Spotlight - when is the best time? First Bra Mistakes - With so many styles, sizes and colors available, it's easy to make the wrong choice. From fit and function to comfort and versatility, we take a closer look at the 5 most common mistakes to avoid when bra shopping. Follow along and avoid these missteps. First Training Bra - This is a delicate situation that requires discretion and care, and we’re here to help you navigate the way. Follow these hints on how to tell her that the time for her first bra has come. How to tell a girl it's time. My First Bra - Women tell all! These stories are hilarious and heartwarming and will show you what an amazing moment it is when you get your first bra. We share your stories. Embarrassing Bra Stories - Here are more of the best teen lingerie stories that our amazing readers have graciously shared with us. These moments will make you smile. Bra Preteen - When it comes to the preteen lingerie there are a multitude of myths and misconceptions floating around that can make it really difficult to pick the right bra. This article takes a closer look at the first bra myths (and facts) that you need to know. Find out more. First Bra Gallery - Bra insiders share their professional knowledge about buying and wearing your first bra, so you can forget about the myths and cut straight to the facts. Insider myths that will surprise you. Training Bra Sizes - From a cups and b cups, to bra bands and trying before you buy, first bras can be a bit of a mystery for moms and daughters alike. This article takes the guesswork out of it all so you can shop for the best bras that you'll both love. Take a peek at this behind the scenes guide. Training Bra Spotlight - From preteens to mid-teens, girls blossom into young women at different ages. And, while you don't want to wait until the last moment, you also don't want to rush into it. Discover these amazing tips. More Training Bra Secrets - With so many cute styles and colors it's difficult to say no and easy to spend more than you wanted on a preteen bra. But, saving money doesn't have to be hard.Follow these easy tips and learn how to shop smart and save. The First Bra Guide - We’re starting with the basics and showing you how to make your first bra a fun and happy experience. Learn how to make the essentials exciting with these great tips. How To Make The Fundamentals Fun. First Bras - Bra shopping can be overwhelming given the huge selection of styles that are available. We’ve narrowed down the best bras for your first time so you can hit the stores with confidence. How To Choose The Best Styles. Girls First Bra - Fit is the most important thing to nail when it comes to bra shopping, and we’ve made it totally easy with this guide. These indispensable tips and tricks will get you on the right track to finding the perfect fit. How To Get The Best Fit. 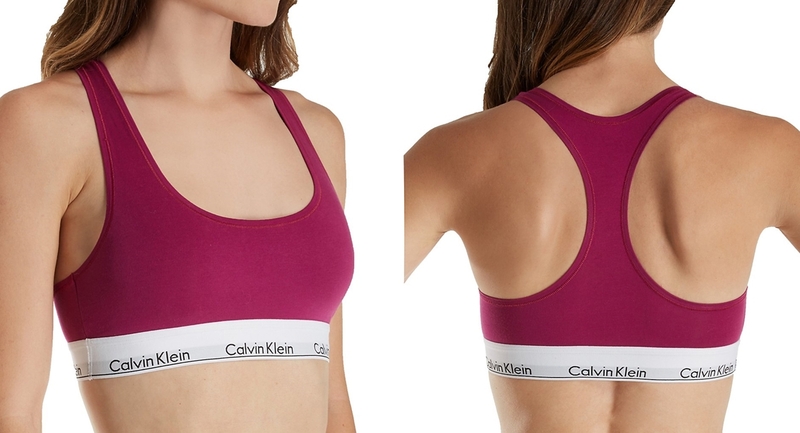 Which Training Bra? - We’re sharing our expert advice on how to find the best styles for your first training bra. Take this advice straight to the stores and see how simple it is to find the perfect piece for you. First Time Essentials. More First Bra Stories - We asked friends, family and clients to share their memories of training bras and lingerie. From gym class to shopping with dads, broken straps to boys -here are your heartwarming favorites.